The Water slide at Grafton Aquatic Centre is a huge attraction for families throughout the valley as well as visitors from afar. On the weekends and school holidays there are 2 slide sessions per day. Session times are 11am-12.30pm and 2pm-4pm. 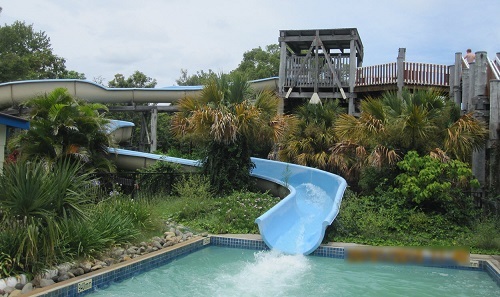 Cost for the slide is $3.00/day/person, entry not included. For good old fashioned fun come and try the pontoon at Grafton Aquatic Centre. Operating at selected times during school holidays and weekend this is fun for all the family. Grafton Aquatic Centre is a special pool in that it is one of the only Aquatic facilities on The North Coast to have diving a diving pool and boards. The diving pool boasts 1 and 3 metre diving boards as well as a 5m diving tower.